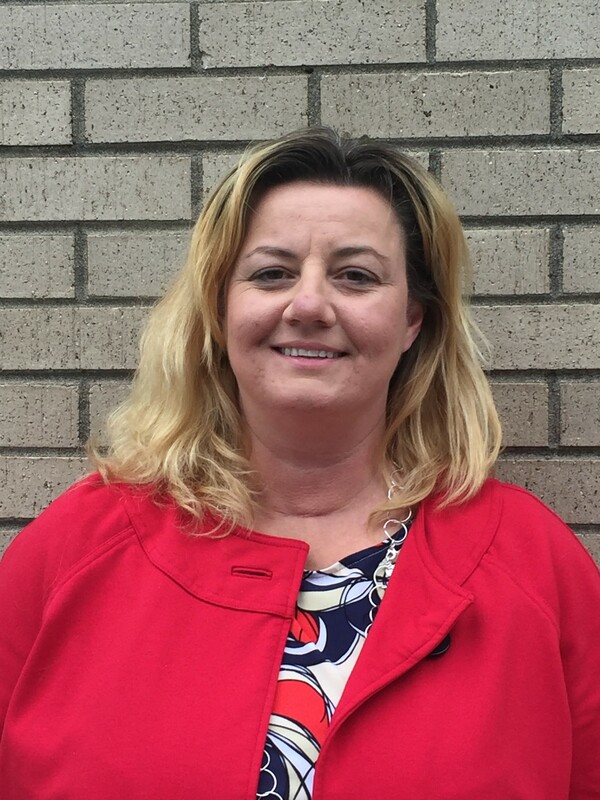 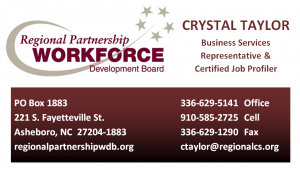 Job Profiling is a business service of the Regional Partnership Workforce Development Board, where occupations are identified to help your business, or learn what types of training programs can be the most effective. 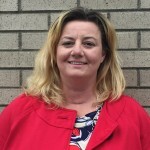 Job profiling consists of a task analysis to select the tasks most critical to a job and skill analysis to identify the skills and skill levels required to enter the job and perform effectively.By matching the job profile information with individual scores on the WorkKeys assessments, you can make reliable decisions about hiring, training, and program development needs. 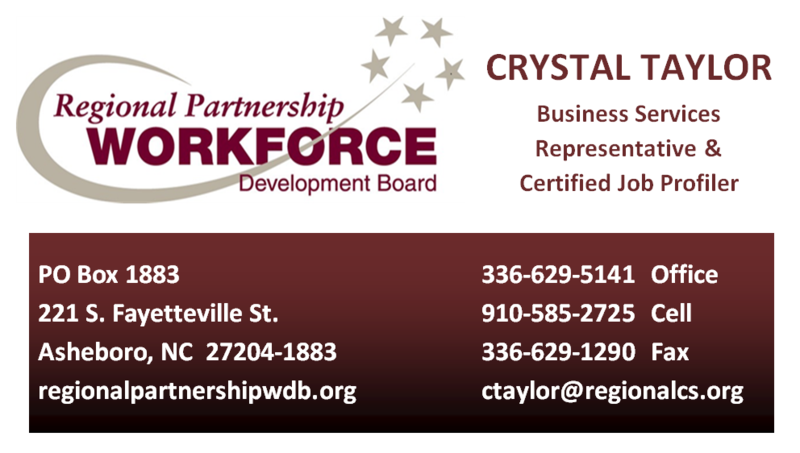 For more information on Job Profiling, please contact Business Services Representative and Certified Job Profiler, Crystal Taylor at ctaylor@regionalcs.org or call 910-585-2725.